The App Store may have just opened up its iPad wing, but there are already hundreds of apps to choose from—and many of them are games. With so many choices, what’s a mobile gamer to do? At least a dozen titles have caught our eye since iPad apps began arriving on the store. Here’s a list of games we’re particularly eager to check out, along with our take on the best- and worst-case scenarios for the iPad-optimized editions. 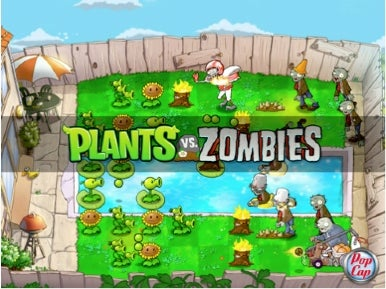 Hopes: Arguably the most clever, humorous, and well-balanced tower defense game to come out ever, Plants Vs. Zombies has already made a splash in both its Mac and iPhone iterations. With the iPad’s improved graphics and bigger screen, might the $10 iPad-only edition of the game give us bigger maps and maybe even the return of some of the mini-games that didn’t make it to the iPhone release? Fears: Given the game’s stellar track record across multiple devices, the only real fear is that PopCap doesn’t seek to improve anything of its winning formula. This is one of the few iPad titles that you can bank on being worth playing. Hopes: Firemint has a pretty solid record on the iPhone. The game maker developed the first true multiplayer racing game for the platform, and oh yeah, produced a little game called Flight Control. 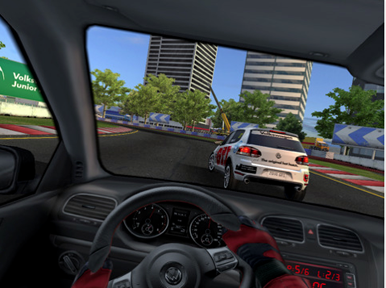 Now both games are coming to the iPad, though Real Racing HD’s impressive graphics and intense action make it a more intriguing iPad game. Hopefully the iPad lets Firemint expand the franchise with new content and slick controls in this $10 racing game. Fears: It’s one thing to use your mobile phone as a steering wheel, it’s another to be able to make your book-sized device so exact. The big question is how the controls will handle—will Firemint outpace the competition or will the awkward controls cause it to crash and burn? Either way, it’s going to be exciting to find out. Hopes: With the promise of better graphics and a bigger screen, Hideo Kojima’s vision of Metal Gear will look that much better on the iPad. And hey, maybe Konami will finally incorporate some stealth combat like a true Metal Gear Game. Fears: What if the iPad version (which is a hybrid offering that also runs on the iPhone and iPod touch) still plays like the stale shooting gallery abomination that launched on Apple’s other devices? 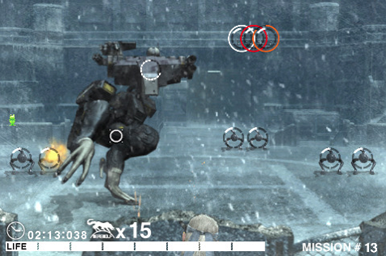 On the iPhone, the $8 Metal Gear Solid Touch couldn’t hold a candle to Metal Gear Solid 4: Guns of the Patriots, and it’d be a shame if running the game on an iPad produces nothing more than a really nice-looking shooting gallery. 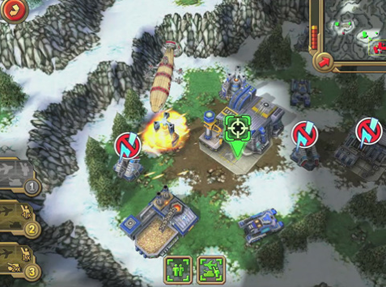 Hopes: With the superior processing power of iPad’s chipset, an impressive resolution, and the wide-open spaces of a larger screen, all of the problems of Red Alert’s iPhone version could be rendered a thing of the past. If the quality of the iPad version of Red Alert matches its $13 price tag, we’re in for a treat—hopefully, the game looks beautiful with an uncluttered, intuitive interface. It may be wishful thinking that the cinematics from the console game make an appearance on the iPad version—oh what we’d give to see Tim Curry ham it up as the Russian Premier—but if done properly, this game could prove that strategy games belong on a mobile device. Fears: Even if Tim Curry is a no-show, it will be a disappointment if Red Alert offers the clunky controls, terrible frames per second, and cluttered interface of other mobile editions. 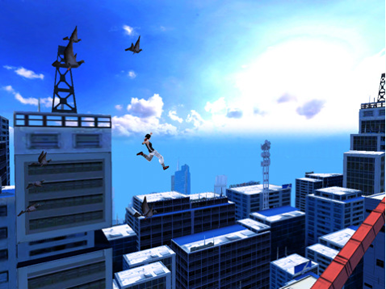 Hopes: This first-person combat simulator surprised some iPhone users when it came out last year. Rich with references to the ’80s movie and blessed with impressive graphics, Top Gun still seemed constrained by the platform. 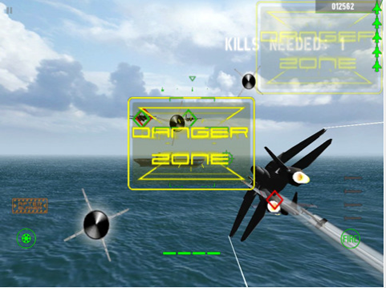 The $5 iPad version should let you see more of that jet-streaked sky and hopefully experience more of the danger zone. Fears: Improved graphics aside, will the professed “new content” alter gameplay in meaningful ways or will it simply be a couple new weapons or jets? Fears: Part of the appeal of the initial release was its jarring first person perspective—which seems to be absent in the iPad release. The original was also hampered by some clunky indoor sections and a bad combat mechanic, and it remains to be seen what this latest version keeps. 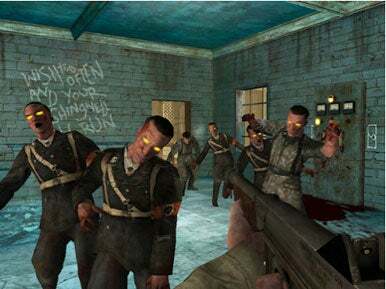 Hopes: What started out as an extra set of missions tacked onto Call of Duty 5: World at War has now become an insanely popular first-person survival horror game itself. First ported for the iPhone, the $15 iPad version looks to have much improved graphics and the promise of a better first-person shooter experience. We’re hoping that this will be the first among many strong first-person shooter titles on the device. Fears: Our review praised the iPhone version, so the real fear here is that the iPad version exacerbates the already somewhat clunky controls and players wind-up spending half the time shooting at the ceiling and missing the beautifully rendered zombies. Oh, and for some reason EA decides to replace the zombies with puppies. Hopes: This highly-addictive turn-based strategy game starring cartoonish militant worms gets a visual upgrade in its $5 iPad incarnation. According to the game’s iPad page, there should be more than 50 challenges full of mirthful mayhem. The hope is the game sets the standard for fun, clever, and humorous strategy games on the platform. Fears: The phrase “visual upgrade” is always a bit worrisome, suggesting that the game is nothing but a prettier version of the iPhone version of Worms. 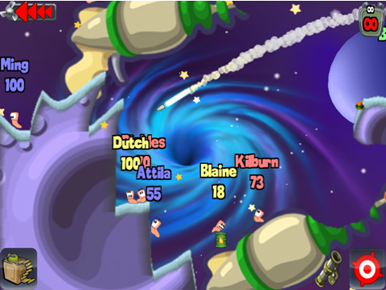 But unlike other iPhone games, the core gameplay of Worms is so solid that translating it to a new platform isn’t a bad thing. Hopes: Gameloft has gotten better and better with its first-person shooters. What was once considered an impossible genre to develop for on the mobile platform has become a rigorous field with some truly great titles. N.O.V.A. 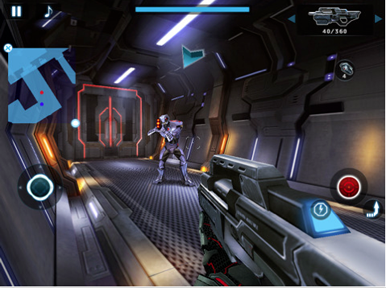 is Gameloft’s “homage” to Halo, and the sci-fi FPS will likely benefit from the improved interface on the iPad, including more buttons and improved touchscreen controls that will let you pinpoint your grenade arcs. Fears: While the $10 iPad version of the game will look better and the amount of interactivity is vastly improved, will the game play more fluidly? Can you aim and shoot with relative ease? Like other first person shooter iPad launch titles, we’re taking a “wait and see” approach to the N.O.V.A. 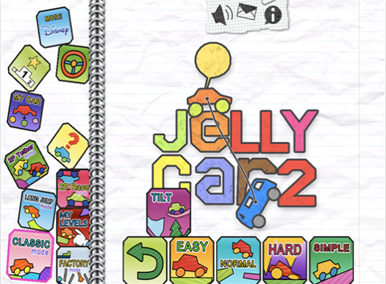 Hopes: An adorable puzzle car game that tasks you with guiding a squishy car to the exit of a level, JellyCar was a distinct title when it first launched for the iPhone. Now a new version of its sequel promises to offer 30 levels of fun, new modes, a custom level editor, and much more exclusive content for the iPad. You don’t see too many games that are fun for both kids and adults, and maybe the $3 JellyCar 2 will be the first to have that kind of cross over appeal on the platform. Fears: The graphics look much improved and the new modes actually look to be pretty impressive. The real fear is that suddenly the iPad becomes a premier children’s educational tool and all of a sudden Macworld’s hardened crew of game reviewers have a flood of adorable cartoonish children’s games to review. 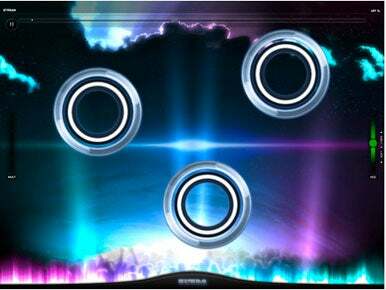 Hopes: With the iPad’s improved interface, your ability to “tap” along to hit music will make the Tap Tap franchise a huge hit on the iPad. Fears: The free Tap Tap Radiation only starts with eight songs and though it’s free to play, you’ll want to keep paying more for additional songs. These smaller packs will sap you dry pretty quick, and ultimately limit what could be an even more popular title.